Hypermarkets and super centers, a sub-industry within the food and staples retailing industry, comprises large retailers that buy food and staples from manufacturers around the world and sell them to end consumers. They are one-stop shops, and house everything from grocery to apparel under a single roof, which ranges in size from approximately 71,000-219,000 square feet. The total size of the US hypermarkets and super centers industry by revenues is $644 billion, 99% of which is controlled by Wal-Mart Stores, Inc. (WMT), The Target Corporation (TGT) and the Costco Wholesale Corporation (COST). Costco is the youngest company among the three. It opened its first store in 1983, nearly 21 years after Target and Walmart opened their first stores in 1962. 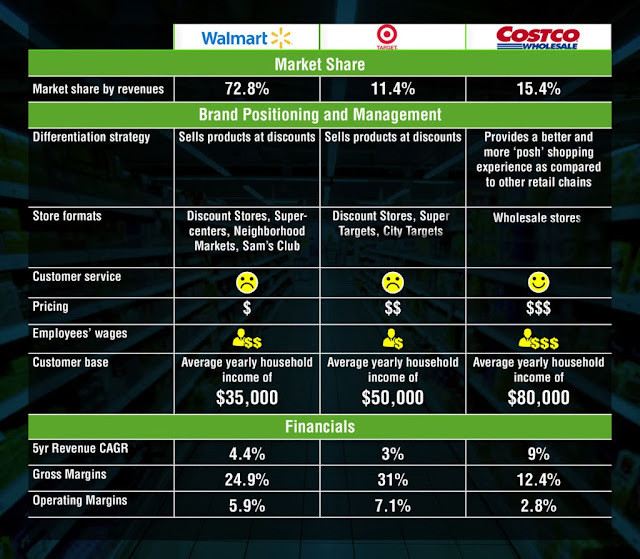 The three major retailers cater to different categories of consumers. Walmart’s customer base has an average yearly household income of approximately $35,000, while Target caters to a customer base which has an average yearly household income of $50,000, and Costco customer base has an average household income of $80,000. 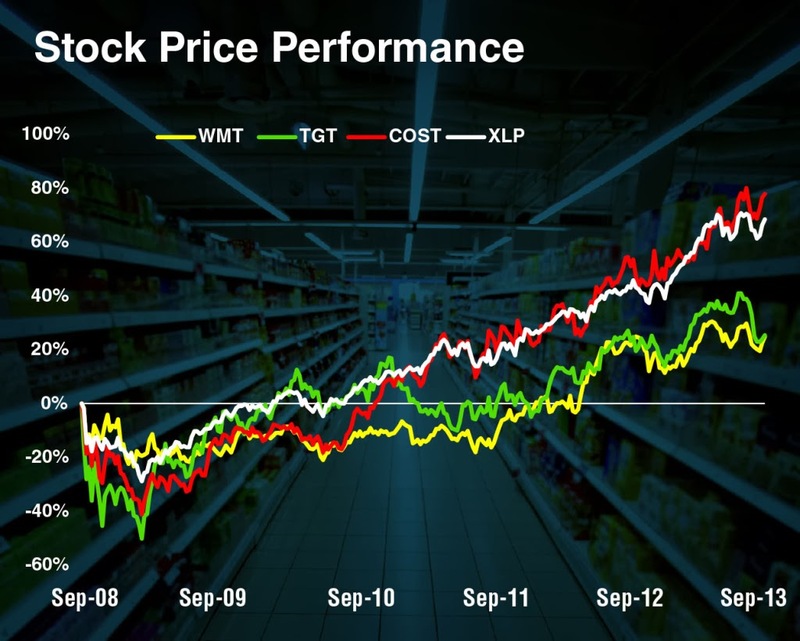 Walmart – the market leader by revenues – holds approximately 73% of the market share. In addition to Walmart Supercenters and warehouses, the retailer also runs smaller stores, which range in size from 3,000-64,000 square feet.